What’s this?  A custom line of SG Standards, designed and built exclusively for Chicago Music Exchange? That’s right. Our very own Dan Bordonaro and Joel Bauman worked in close collaboration with Gibson USA’s Master Luthier Jim DeCola to create this custom run of double-cut crazy, featuring all kinds of stuff you’re not soon to see, or possibly ever see, on any SG outside of our Lincoln Ave. showroom. Believe us. This is big. And if these SGs don’t already have their horns in you by now, they will. 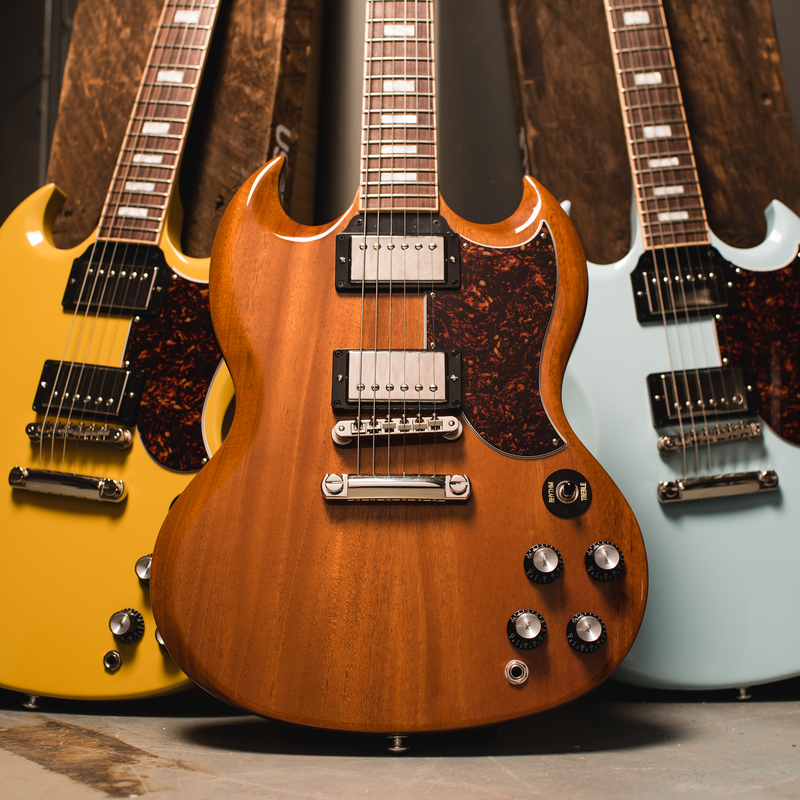 Our CME exclusive Standards feature custom colorways never before seen on an SG, or any Gibson for that matter. Mixed specially for us, these colors are the result of a tireless back-and-forth to perfect the unique palette of awesomeness we now present to you. To complement these unusual finishes we’ve added small block inlays and a special tortoiseshell pickguard, also unique to our CME exclusives. 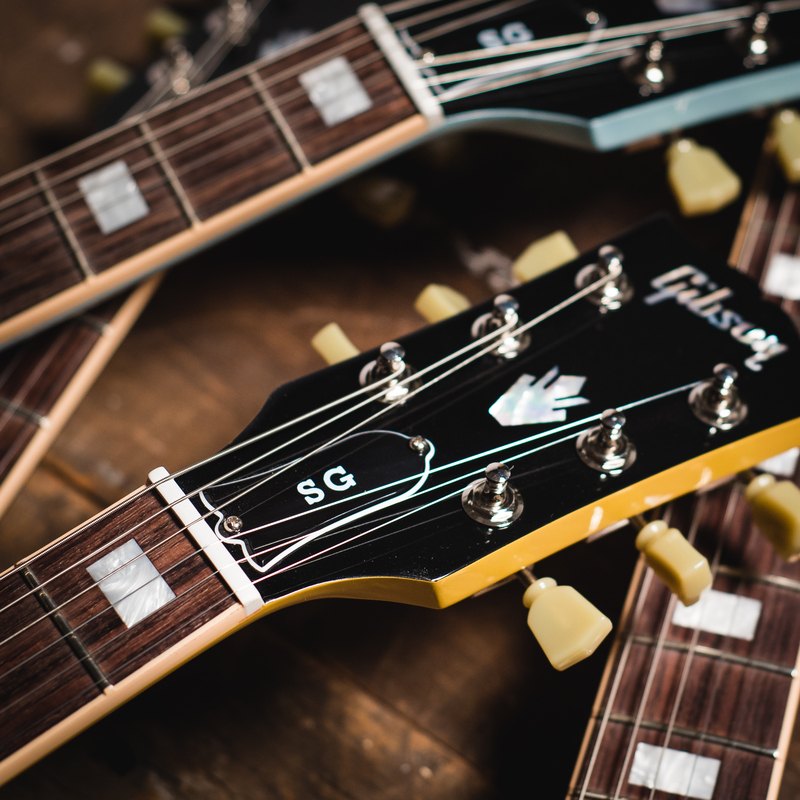 But what’s most impressive about our custom run of SG Standards is not the pickguard, or the finish. In fact, it sits right on top of it. T-Tops are known for their consistency, clarity, and note definition, offering brilliant chime without sacrificing low-end. Our exclusive T-Type pickups feature Alnico 5 magnets, a low-to-moderate 7.45k ohm DC resistance, polyurethane insulated wire, and chrome covers, built to clean up beautifully with a turn of the volume knob for incredible dynamic range and purity of tone at all decibels. 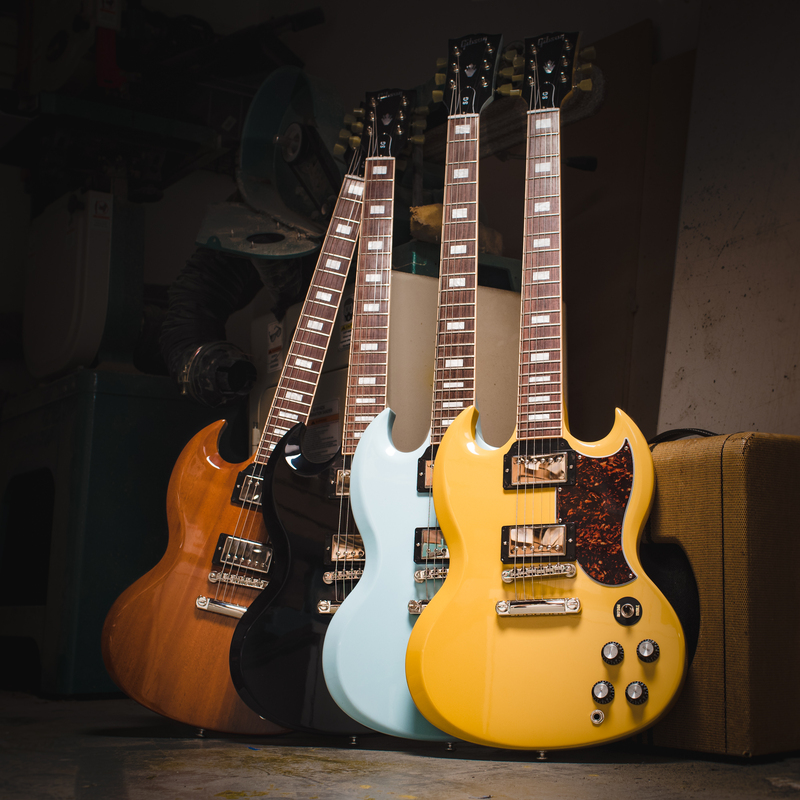 As with any CME Exclusive, not to mention one of many in our long relationship with Gibson, our T-Type humbucking pickups and SG Standards are the product of love, a mutual appreciation of the Gibson solid body and what makes it so special, and the shared understanding of just why the SG is the best-selling Gibson of all-time. But if you still don’t understand, that’s okay. Check out one of our CME Exclusive SG Standards online, or stop by our Lincoln Ave. showroom and you will. It’s a truth as sharp and as clear to us as the horns themselves.